"When I had a massage with Susan, I felt that I was in the presence of a thoughtful, gentle angel"
with a Spa at Home Party! Take care of yourself and life will take care of you. Regular massage both strengthens and tones the body. Experience the incredible power of massage. Relieve your body from stress and pain deep muscle tension by relaxing the muscles with tailor made treatments suiting you as an individual. 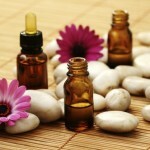 Pure, unadulterated, highest quality essential oils and organic oils can be chosen together to suit your specific needs. A living dynamic organ that protects us from external toxins. A fundamental unit of life, designed to give us movement and freedom. Choose from a selection of calming, relaxing, toning, energising, immune boosting and detoxifying treatment. Supporting your needs with treatments specific to you. She knows what she wants and she gets it with therapy. A collection of treatments to enhance the beautiful you. Achieving positive well-being results, leading to a happier and positive you.